This 4 bedroom 3 toilet and bath Mactan HOUSE 294 is for rent. 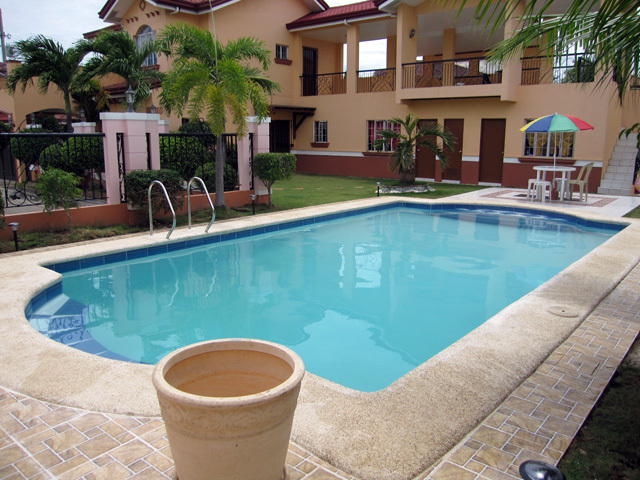 It is located inside Pacific Grand Villas subdivision, an upscale, quiet and safe village in Suba-basbas Lapu-Lapu City Cebu less than 10 mins to Plantation Bay hotel, Gaisano Grand Mall and Mactan Doctors Hospital. Primary and secondary school Nissi Academy is just across the village. The house sits on spacious 538 sqm lot. It has a swimming pool. Furnishings include 5 aircon units including one in the living area, whirlpool washer, etc. .
Pacific Grand Villas amenities includes 24/7 security patrols, swimming pool, basketball court, clubhouse, parks and playground. Water supply from Mactan Rock Industries. Cable TV service by Skycable. Rental rate: 85,000.00 per month. Can we check the house?? ?